FIAT introduced this last generation of the 1100 in the winter of 1966 with a new name FIAT 1100R. The 'R' stood for Rinnovat (renovated in Italian). These were made for the next 3 years till the all new FIAT 128 came up in 1969. 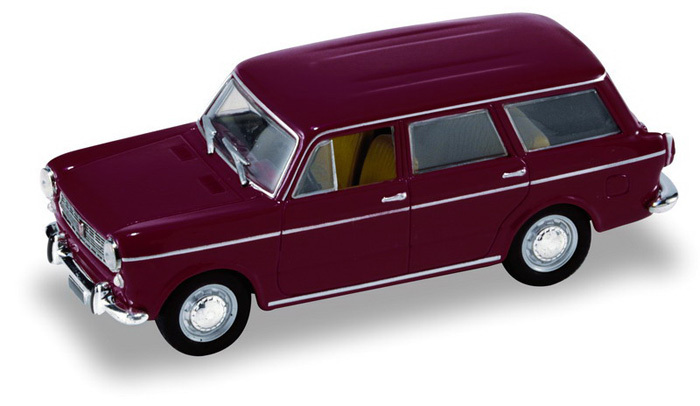 The Familiale or the Estate or the Kombi (different names in different countries) as was known was the estate version of the FIAT 1100R. 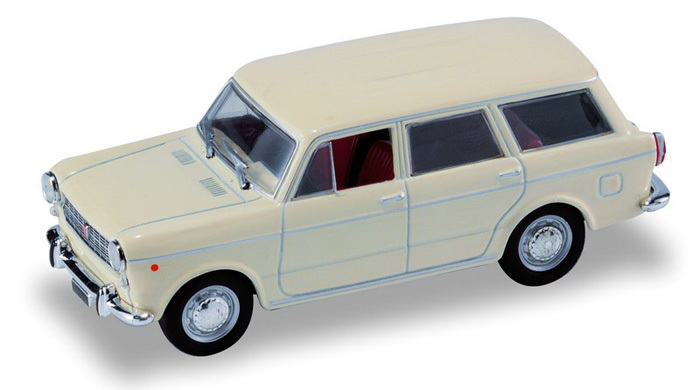 In India, a company dealer of Premier Padmini called Starline Motors who sold Premier Padmini brought ready made Premier drive-away chassis* (that were primer coated and provided with half-roof) and converted them in to an estate version called Safari looked similar to the FIAT 1100R Familiale. *PAL (Premier Automobile Co.) sold these Premier drive-away chassis so that the customer could convert them in to vans, pick-ups or as stationwagons depending on usage or modification the customer required. 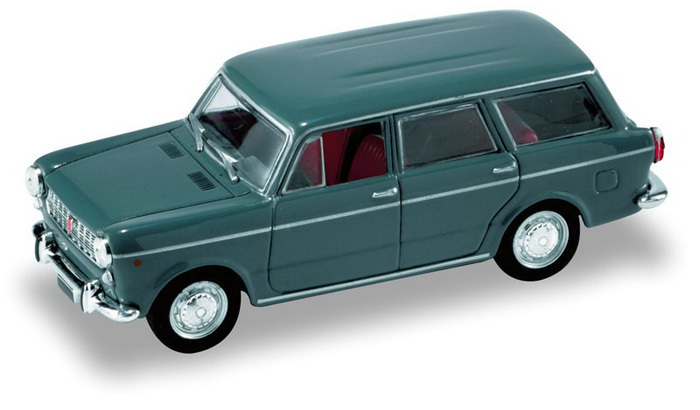 Rare collectible in 1:43 available in assorted colours.